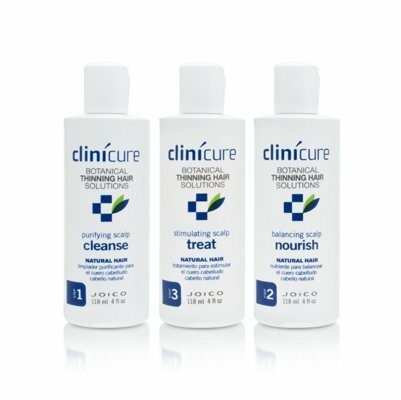 Cleanse the scalp of DHT and environmental residue that can contribute to hair loss, creating an optimal scalp environment for healthier, thicker looking chemically treated hair. purpose: to nourish, balance and protect the scalp, creating an optimal scalp environment for healthier, thicker-looking hair. method: sunflower oil, rosemary oil and ivy extract intensely moisturize the scalp and hair and protect both from damaging environmental aggressors. ginseng and hops nourish and improve the condition of the scalp. Nourish, balance and protect the scalp, creating an optimal scalp environment for healthier, thicker looking chemically treated hair. 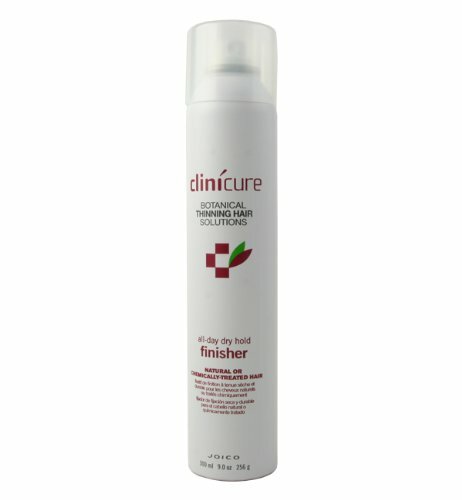 Joico clinicure advanced thinning rescue is for extremely thinning hair. Create stronger, thicker looking and feeling hair with weightless texture. Acacia gum and hyacinth provide long lasting style support, while bamboo strengthens and protects hair. For natural or chemically treated hair. 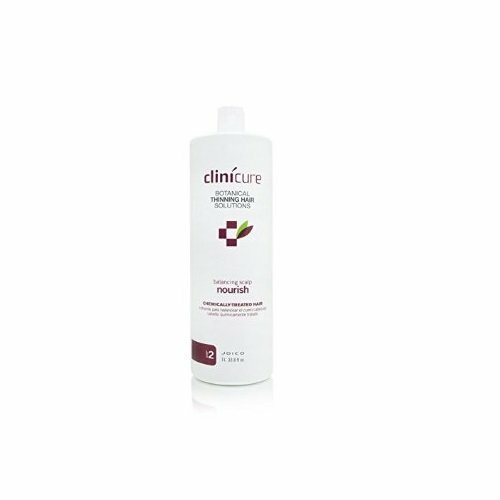 Clinicure botanical thinning hair solutions dry hold finisher provides quick drying yet workable, medium to firm hold with humidity resistance and environmental protection. Acacia gum + bamboo extract provides healthy, all day hold, strength and protection. Hibiscus enhances body, fullness, and strength. 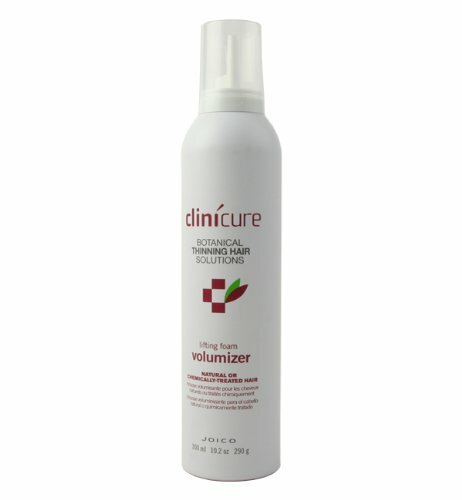 Provide humidity resistant life and volume to thinning hair without static or buildup. Clincure's formula of hyacinth, hibiscus and bamboo provides long lasting support and body as it adds strength and protection. Quinoa is then added to this strengthening formula to restore desired softness and hydration. For natural or chemically treated hair.